Experience moments of absolute relaxation and carefreeness in a blooming garden which aims to awaken your senses with its unique odors. Relax in bright, minimal and traditionally decorated rooms in earthy, warm shades. 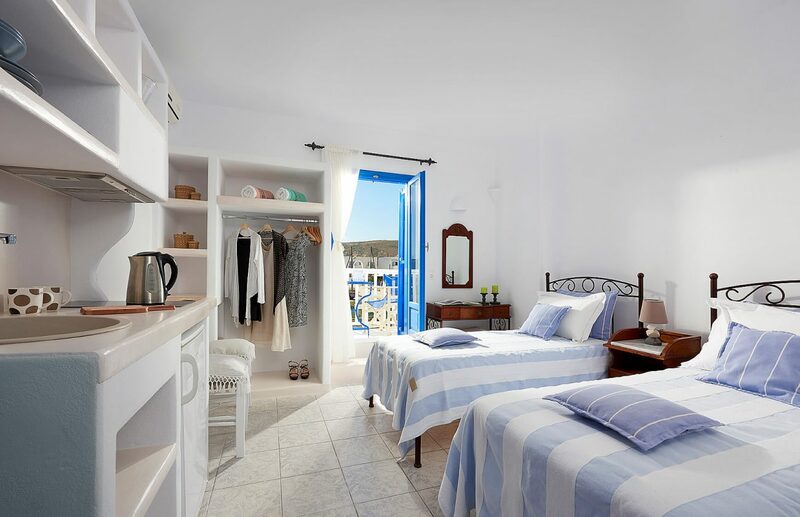 Efi Studios are traditionally conceptualized by Cycladic aesthetics in colors of white and blue. White, the color of purity and blue, the color of the sea & sky. A hotel inextricably linked with traditional Greek hospitality which offers high quality amenities. 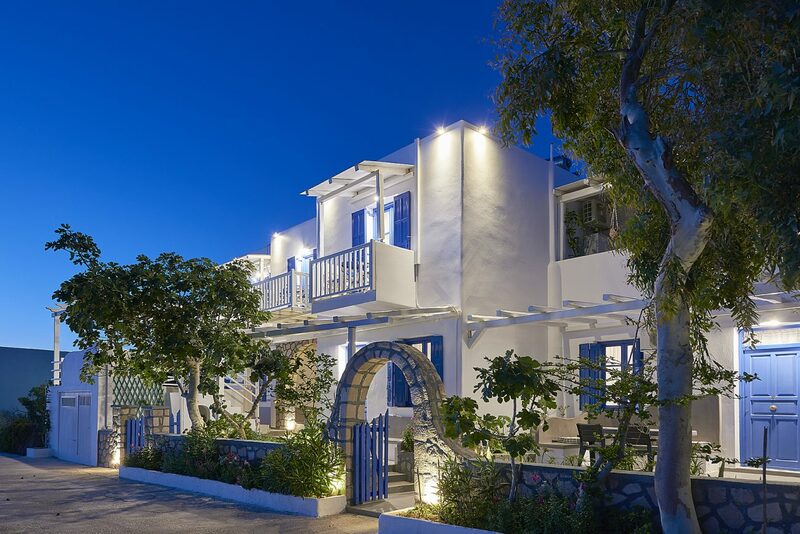 At Efi Studios we promise to meet the needs of each distinguished visitor, offering unforgettable experiences, under the enchanting backdrop of the Aegean Sea and the lacy coasts of Milos.